Is American TV finally getting it? 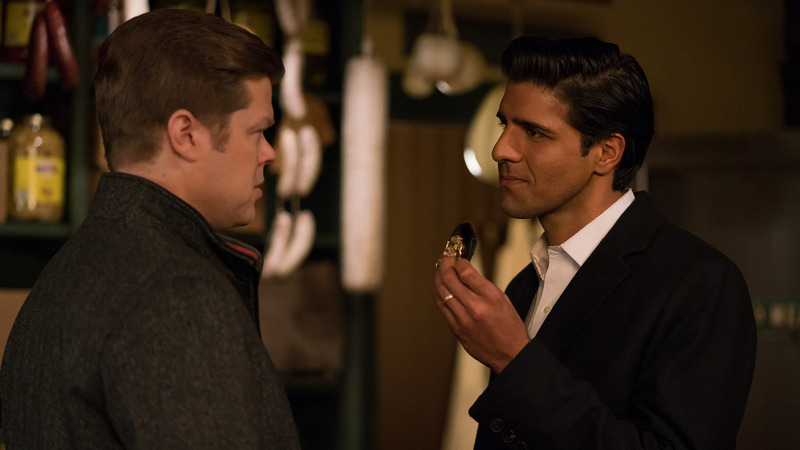 The representation of South Asian Americans in television has always been a mixed bag. On one extreme you have Apu from The Simpsons, who is controversial, and on the other you have Alex Parrish from Quantico, a half-Indian FBI agent whose portrayal is accused of being whitewashed. Though an increasing number of shows like The Mindy Project (Mindy Kaling) or Master of None (Aziz Ansari) have brought South Asian experiences to Americans, most desi characters are often disappointing. They are either typical stereotypes, terrorists, foreigners, or having a character so whitewashed that their heritage doesn’t matter. So, the introduction of Rahul 'Ray' Nadeem (played by actor Jay Ali) in the third season of Daredevil surprised me. Daredevil has been one of my favorite Netflix shows, and the third season is probably one of the best seasons of the many Marvel shows on Netflix and other TV networks. Ray is first introduced during a celebration with his family. His sister-in-law was just recently declared cancer free. However, his sister’s illness caused Ray to go into debt as he worked to support his family through this tough time. This sets in motion events that would flip Ray’s life upside down. Ray isn't treated as a simple cardboard character. He is a good guy whose ambitions led him to make some dumb decisions, but ultimately he cared about his family and about doing the right thing. Throughout the season, Ray isn’t defined by his ethnicity, but nor is it ignored. This is a character that speaks to his family in Hindi, whose wife and son are wearing Desi garb the first time they are introduced, who tries to send his family to his relatives in Bihar when they are in danger, and whose house is adorned with Desi objects. Ray’s Indian-ness doesn’t put him at odds with the world of Daredevil and the FBI, nor is he seen as non-American. Other shows tend to keep their Indian characters as platforms for discussions about the search for identity and the difficulty of balancing different cultures. Here again, Ray is different. There was no contradiction between Ray’s South Asian heritage, or his American nationality. Growing up in Wisconsin, it was always tough for me to square my many identities into something that I could be comfortable with. There were plenty of times where listening to Indian music, eating Indian food for lunch, or even discussing my family’s cultural and religious practices at home were treated as ‘foreign’ or ‘exotic’ (at best) by my peers at school. Even if my family was supportive of integrating my Indian-ness into America, the rest of society seemed to indicate otherwise. Seeing a character who is confident in his Desi identity, someone whose identity is represented as a regular part of the American experience is inspiring. They could have done more to discuss the major issues that South Asians face growing up in America. But Ray is still a supporting character in a Marvel show. Nevertheless, watching a show where the characters that look like you, share the same heritage as you, and are shown as complex characters that are just as American and normal as the other characters on screen, it makes a big difference.